The long-awaited reveal of the work-in-progress Creed II finally hit the theaters and it did not disappoint. Now, call this whole post biased if you want based on my love for all involved in the making of the film, but the film was great! 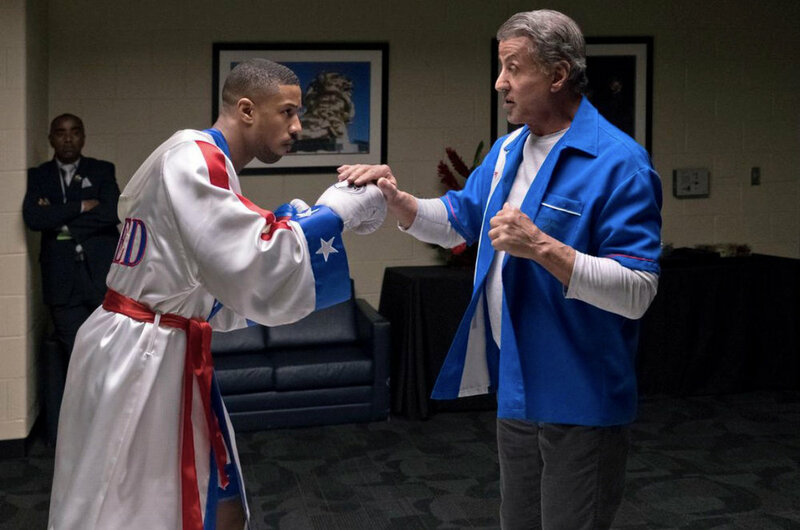 The film follows the storyline that was set up in Creed, created by none other than Ryan Coogler, wherein Adonis “Donnie”/“Hollywood” Johnson leaves his day job in Los Angeles to train with Rocky Balboa, and fight full time. Along the way, he helps the infamous, Rocky Balboa fight a couple of battles of his own and falls in love creating the perfect teaming of beings. One of my favorite things about these movies is how respectful a man that Adonis is. From the beginning, he approached the situation with Rocky as humbly and respectfully as can be. Even when they had a disagreement, Adonis would always come back, acknowledge his wrong and apologize. The writers could have chosen to make Adonis’ character a mean, resentful man for his father’s infidelity and for “leaving him” (which was a theme throughout both films), but they instead made him the vision of what a man should be. He was hardworking, focused, respectful, loyal, faithful, loving, friendly and didn’t take his chances for granted. He had the will to fight for what he wanted and he worked hard despite other’s disbelief in him. I love the man that they chose to make Adonis Johnson in this film. I especially loved watching him in Creed II because, in this film, we get to see what happens when Adonis is shaken. When he isn’t just the strong, fighting, loving man that I love to see… He was feeling down based on a fear that he wasn’t good enough (something we have all experienced), so this Donnie was refreshing for me. It was realistic. Him needing Rocky (and Bianca) to get through this was so good to see. Boys these days put up this wall and act as though they don’t need people (men don’t, they know they need people), so the result is them carrying that resentment, being angry, and treating the next batch of people in their lives horribly. Watching these characters on screen and the relationship between Rocky and Adonis should definitely open the eyes of many men and women. The bond, the respect, the relationship — phenomenal. And, given the selfish character of people today, it’s not a bond you see much. I hope that these two on screen help shape a change in this regard. Am I the only one who didn’t know that she could sing? Honestly, I knew nothing about Tessa Thompson before the Creed movies, but I love her role in it all. Throughout the Creed movies, we hear original songs performed by Tessa Thompson which, I personally, LOVE. These songs are not what I typically listen to because of the trip-hoppy feel that they have but I love each of the songs she performs for these movies! Shoutout to her! Speaking of the beautiful Tessa Thompson, her character Bianca finally gets the recognition as the strong female counterpart to Adonis Creed in the new Creed movie. She is acknowledged for standing by his side in situations that must be difficult. Dealing with the punches, the beatings, the wins, the losses, etc, she was right by his side — the perfect team. Their relationship was cute from the start. They were patient with each other and although Bianca's character was guarded initially, she let that guard down to team up with someone worth the risk! 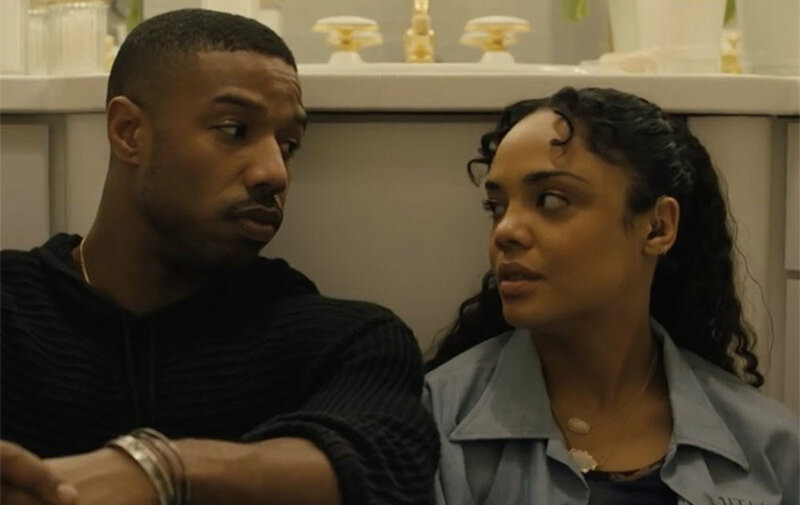 In Creed II, we see the couple go through more. We see them struggle with each other and in their lives separately. I like that because, again, it’s real. Adonis becomes so far removed from his relationship with both Rocky and Bianca leaving Bianca to hold it together while he figures it all out. She turns to Adonis’ mom for advice because she’s been through it before and we get to hear the tale of another woman having to be strong for herself and her man while her man figures out his crap. I’m all for being there for the team, but I would never pass up the opportunity to acknowledge how strong women have to be to love even a good man… It’s not easy. So, I just love the love and appreciation that Adonis shows Bianca. I loved how he made it clear that he needed her and she made it clear that she needed him. It was a perfect balance to a dope team. This was one of the best scenes to me. It was the complete embodiment of teamwork and standing by each other. 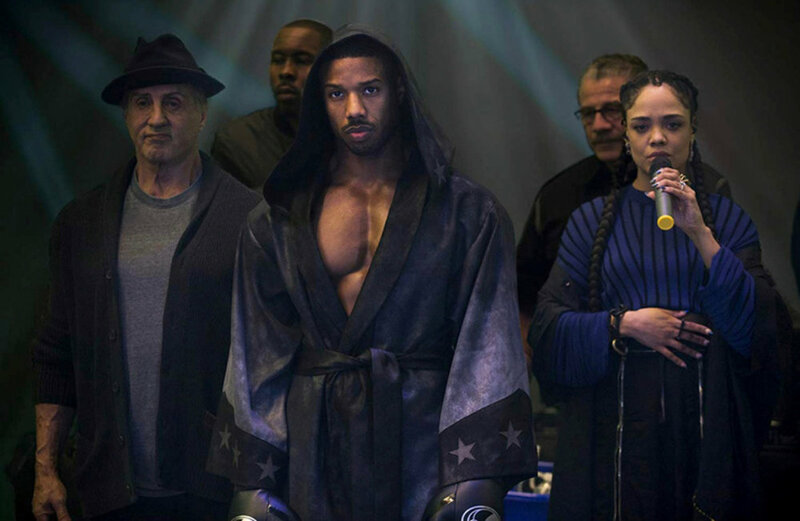 While we’re here, can we talk about the amount of work that MBJ put in to become Adonis Creed for this film? Now, there are people walking around talking about hating the film entirely and I cannot see why! First off, the training! I’m sure we cannot even fathom the amount of work that Michael B. Jordan put in to (1) learn how to box and (2) look that good. If you can’t look at the movie and see that the work is real then I have no clue what’s wrong with you. If you can’t appreciate just the amount of work that they all put in on a boxing and working out front, then you’re insane for sure. I see the work ethic, MBJ! I admire it. After the final fight of the film, Rocky mentioned to Adonis that it was his time now. He then took a seat next to the ring, took off his hat and just stared in. I feel that this moment symbolizes the end of the Donnie-Rocky trainor-trainee relationship and it kills me. They really made each other better. They were good friends/family and an even greater team. After a match, if Donnie wasn’t looking for Bianca, then he was looking for Rocky and that just shows how deep their bonds were. But, I am super convinced that Rocky will leave Adonis after this film and work on his relationship with his family. He may be a call away, but I honestly don’t see Rocky being in the next (hopeful that there will be a next) film. As for Bianca and Donnie, I know that they can weather any storm and I love it, but I am thinking that Bianca’s career will take off and, of course, Donnie won’t want to stay away from the ring, so there will be some difficulties there with their relationship and their baby.